This week has been interesting to say the least. We can safely say that I don't want to repeat it, but I did at least get out of the house a bit, ate cake and cleaned. So while not all fun and games at least there were a few highlights and productive moments to be had. I can say that a cocktail on my front porch in the sun this weekend is one thing I am truly looking forward to. I think we all deserve one...or two. Like all great beauty finds I come across lately this came from Birchbox and I am not the only one that thinks this is brilliant. There are roughly 3700 reviews of this eyeliner on their site with 4.5 stars out of 5. Yeah, it's that good. It goes on easily, stays put (and I have eyelids that tend to want to make eye make-up run) and comes off easily with make-up remover. Love. So do you like a little snark with your news? I know I do and I also know that I can't read or watch the news all the time so this little gem is an email I get Monday through Friday with a little synopsis of the big issues at hand. Replacement for all the details? No, but it at least serves as a way to update you on things you might want to know about! I am not a regular gin drinker or even an occasional gin drinker. I can count on my hand how many gin drinks I have had in the last few years, which is why I was so surprised by how badly I wanted to make this drink the Bees Knees that I cam across from Radical Possibility. I had it both with and with out a splash of soda water and I must say I do like a little bubbles in my cocktails. 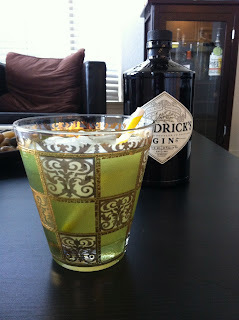 If you like gin, honey and lemon it's totally worth a try. Yum. 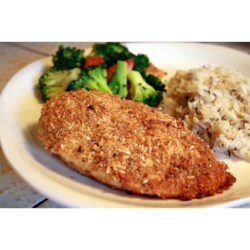 Things I almost always have in my kitchen are chicken, garlic, parmesan and olive oil and usually bread crumbs. With these simple ingredients you can make one of the easiest, moist, best and quick baked chicken I have had. Read the reviews and you will see that people don't change this recipe, because why would you change a great thing? The one thing that was confusing is the whole fresh parmesan vs. green can parmesan. For the record I used fresh finely ground parmesan simply because that is what I always have on hand. It was fantastic. Try it, you will enjoy it. Just a fun few minutes of learning things you probably could have lived the rest of your life without knowing, but it's Friday and you are waiting out the clock. Plus it's entertaining. Enjoy. Have a fantastically awesome weekend!